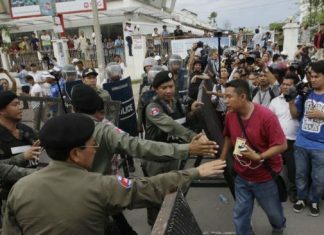 Two Japanese men in their 20s were arrested in Cambodia late Sunday on suspicion of killing a taxi driver in the north of the country, a local police official has said. Cambodia and China on Wednesday began a 13-day joint military exercise in southern Cambodia involving more than 600 military personnel from both sides. Prime minister suggested a referendum could be held to decide whether the public want the country’s constitution changed to allow the new law. 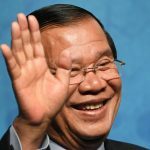 Cambodia is set to start extracting oil from an offshore oilfield being developed in the Gulf of Thailand in October, a government official said Wednesday. 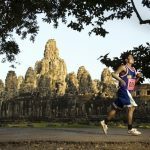 A Japanese man finished second in the Angkor Wat international half marathon on Sunday, an event that attracted more than 10,000 runners from around the globe. 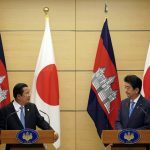 Prime Minister Shinzo Abe on Monday expressed hope for the development of Cambodia through a democratic process amid criticism from the international community over the Southeast Asian nation’s latest election results. 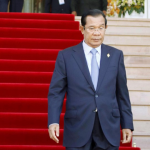 Cambodian Prime Minister Hun Sen, who is visiting Tokyo from Saturday for a regional summit, said he plans to seek support from Japan for Cambodia's hosting of the Asia-Europe Meeting in 2020. Japan's Keisuke Honda has now led Cambodia's national soccer team in practice for the first time since he became general manager. 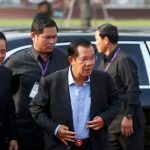 Another Cambodian opposition party announced on Thursday that it will boycott the July general election, saying it will not be free and fair.